There has never been a better time to learn to code. Programming, coding, development — whatever you call it, there’s a huge demand for all of the above in today’s world. More importantly, companies are looking for productive, efficient software engineers to finish work in a prompt, yet reliable manner — coding faster, with higher-quality code, and more capable results. But if you are a coder or engineer, you know as well as we do: More code isn’t necessarily better code. Despite this, we benchmark our work in the industry in a rather shallow, yet slightly helpful, way. Productivity or performance is measured using a metric called LOC, or Line of Code, coupled with the quality of that content. Looking at this metric, you at least have a way to track, compare and improve your performance over time. However, it’s important to note that every coder approaches problems differently. So, are there ways to get your LOC or performance levels up? Creatives tend to scrutinize and critique their work on the fly, which can slow down the writing process considerably. It’s called premature optimization, and it relies on the utmost perfection in code. You may, for example, completely replace whole snippets for something that works much better. Or, you may sort through the code on your own to find context errors, bugs and more. The only time this process is necessary up front is when you’re working on real-time projects, where the content is pushed live near instantly. For other projects, you have time. It’s important to write the code first, and then spend time optimizing later. It’s better to optimize and clean up the code after you’ve written a good chunk of the functions and systems anyway. You can take your time, dig in and really work to optimize the code, instead of finding a quick, albeit non-ideal, solution. This tip really depends on your place of employment and your working conditions, but it’s never good to sit at a computer, typing away for a majority of your day. Not only is sitting for long periods poor for your health, but it can also do a number on productivity. Believe it or not, working less can improve productivity in many cases. You end up staying focused on your task for longer, simply because you know there are time constraints. Furthermore, your brain is clearer and freer to find solutions, which may otherwise escape you after putting in a 10-hour day. More importantly, you learn to quickly curb your poor time management and procrastination. Working fewer hours means becoming more efficient with the time you do have, and getting just as much — if not more — done than you did during a regular schedule. This tip sounds like something you’d hear lobbed at a younger child or teenager. Parents and teachers often remind them to minimize or remove distractions and focus on the work at hand. This could be turning off a nearby TV, closing extraneous browser windows or even glancing at a smartphone every so often. Science tells us it takes distracted much longer to complete a project. If and when you are distracted, your body and mind take an average of 15 minutes to regain focus. Keep in mind, that’s the length of time it takes to simply refocus on a task, not to become productive once again. Right away, you can see how this would add up over time, especially when there are a lot of distractions. Technology has advanced considerably in recent years, so much that machine learning, big data, AI and automation systems are out in full force. Sure, there are limits to what they can do and what you can use them for, but that’s not the point. 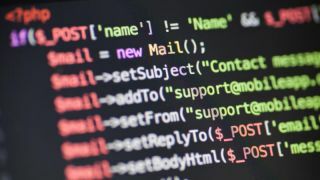 You can significantly boost your productivity by taking advantage of these tools to iron out monotonous or mundane tasks like compiling code, backing up data or even poring over hundreds of lines of code for contextual errors. You can — and definitely should — automate this stuff, leaving you free to focus on the more important tasks. If you don’t already, it’s incredibly beneficial to use an agile development framework, such as scrum, to organize your projects. We’ll keep it relatively simple here, but you can read more about it if you’re interested — and you should be. Agile environments are popular across the IT and development industry because of how they optimize efficiency and make the management process much more — well — manageable. It’s based on sprinting, planning and quick wins. This approach is opposed to traditional development frameworks, which have one single, incredibly long milestone as the core focus of a team. Scrum breaks up feature implementation into smaller time chunks — usually two to four weeks at a time — and then monitored by “scrum masters” before each working day. This ensures the project remains on track and efficient, and that feature creep doesn’t get out of hand. Where applicable, add commentary to the code and functions you are writing. You may fully understand what’s going on because it’s your work, but someone else may not. More importantly, if you have to come back and edit code later — sometimes even months or years later — you can read the commentary and know what you were thinking or going for at the time. Since an efficient developer is writing hundreds or thousands of lines of code in shorter spans, it’s much easier to overlook or outright forget past content. Commenting out your code allows you to quickly dive back in, without having to dissect and translate what’s going on under the surface. Plus, it makes you way more efficient when you’re poring through later — leaving you more time to write new content and push forward. Since optimization is the key here, it’s a great habit to adopt and continue following through with. Always comment your code.